A record crowd has attended the 2017 Liqui-Moly Bathurst 12 Hour at Mount Panorama this weekend. The three-day crowd figure of 40,364 is an increase of 8.8% on the 2016 crowd of 37,079. 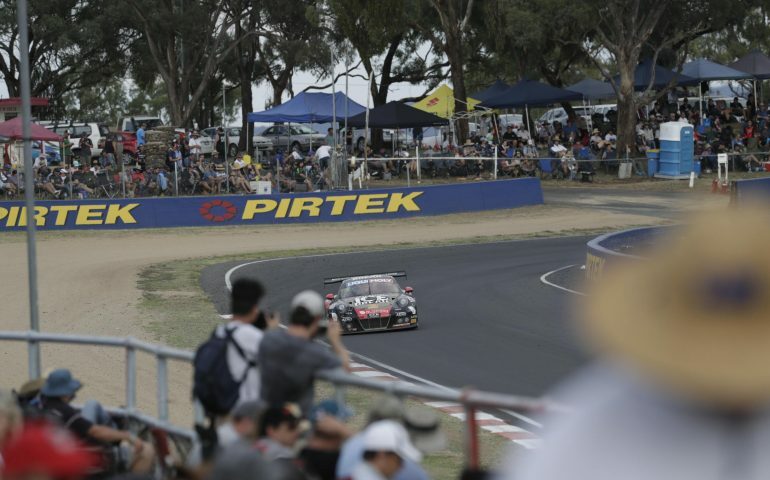 Liqui-Moly Bathurst 12 Hour Event Director John Casey said that Supercars Events, who manage the event in partnership with Bathurst Regional Council, was very pleased with the result. “The event continues to grow year on year, with the 2017 running featuring the largest grid ever assembled for the race,” said Casey. “The build-up to the race gave us a good indication that this year would see a record crowd, and the fantastic support from race fans has not disappointed. “I must thank all of the fans and our event partners, especially naming rights partner Liqui Moly, Destination NSW and Bathurst Regional Council for their continued support. In particular, I want to thank the competitors, car owners and drivers. Without them, there is no race. I also acknowledge the tremendous support from the many manufacturers in attendance this weekend, which makes the race a real spectacle both on and off the track,” Casey said.